By the early 1980s, Hollywood was beginning to notice more and more how summer blockbusters and franchise films kept their wallets full. Movies like Jaws, Star Wars, Rocky, and Superman just raked in the dough, so naturally there were sequels planned to recapture the magic. This was especially good for the Superman franchise because director Richard Donner had opted to shoot the original and the sequel back-to-back (good thing the first movie was a hit, or that just would have been awkward). Apparently people liked the idea of seeing a superhero as an actual action/adventure character and not just campy comedy. Christopher Reeve gave a Superman performance that was so three-dimensional and human, it made us remember why we fell in love with the character in the first place (and also why so many still think of him as their favorite Superman). 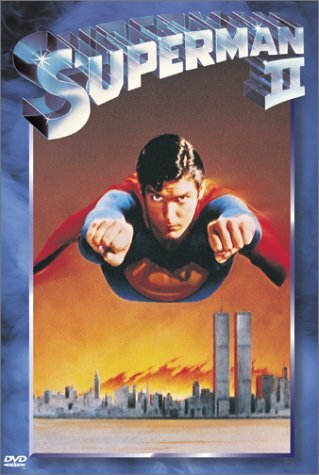 By the time Superman: The Movie was released in 1978, about 75% of Superman II was shot and completed. With Donner behind the camera, and Reeve in the tights it wouldn’t be long before we got our amazing sequel starring the Man of Steel.